NEW DELHI: The government would soon bring out an integrated gold policy and set up a domestic gold council to promote growth in the sector, Commerce Minister Suresh Prabhu said on Friday. Prabhu said the government is also looking at the industry's demand for cutting import duty on gold to four per cent from the current 10 per cent. "This is one of the important issues for the industry that is export-oriented. If you have import duties, the working capital gets blocked up. So, we are already working on that. "At the same time, the Finance Ministry has a responsibility to curtail the CAD (current account deficit), therefore, they are also trying to find out how we can keep the imports under control. So, we have to balance both together," the Minister told reporters at the India Gold and Jewellery Summit here. India is among the biggest importers of the yellow metal with imports of over $33.65 billion in the last fiscal. As a result, the country's CAD widened to 2.4 per cent of the GDP in the first quarter of 2018-19. Prabhu also said he has taken up with the Finance Ministry the question of ensuring adequate availability of credit to the gems and jewellery sector. "I have again taken up the issue with the Finance Ministry and we will make sure that the industry is not starved of necessary finances," he said. The gems and jewellery sector is facing a major credit crunch due to banks being hesitant to lend following the Rs 14,000 crore fraud on state-run Punjab National Bank committed by diamantaire Nirav Modi and his uncle Mehul Choksi who are absconding since the crime was reported by the bank in February. 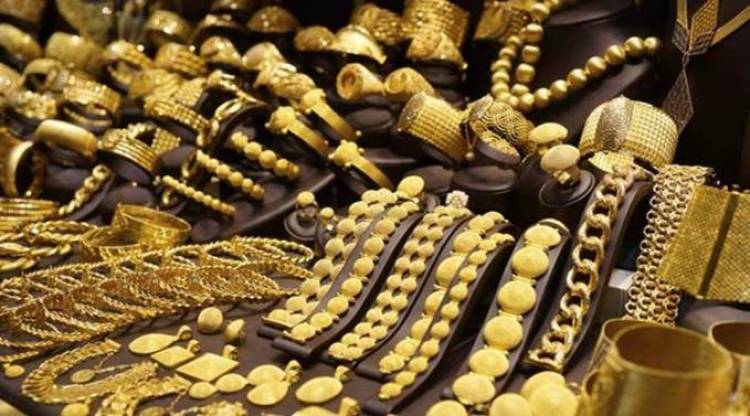 Commerce Secretary Anup Wadhawan said various stakeholders are being consulted on the formulation of the gold policy and setting up of the council. Finance Minister Arun Jaitley had, in February, announced the government's intent to formulate a comprehensive gold policy in order to develop gold as an asset class.